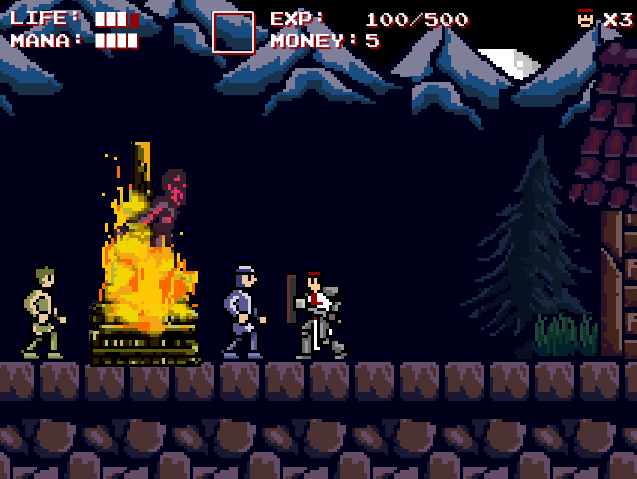 Set in the early years of the crusades, Infernax is the adventures of a great crusader who returns to his homeland only to find it plagued with unholy magic. While on your quest to find and destroy the source of this corruption, you will face ruthless creatures, dangerous beast, precarious terrains and pretty unforgiving game-design. 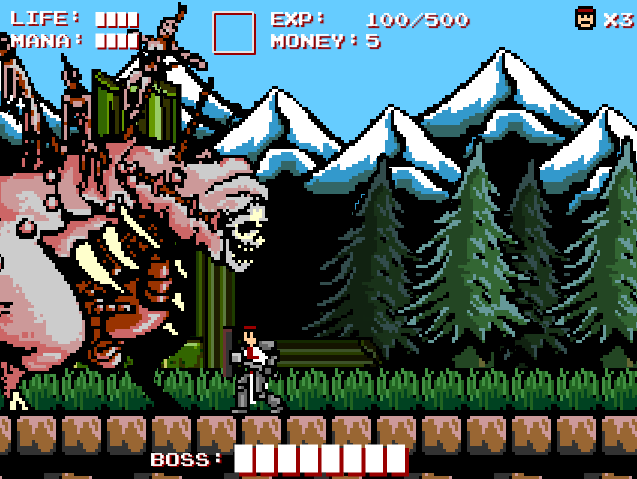 This adventure all started out with a crazy idea, to try and make a Berzerk game that looks and feels like a genuine NES game. Basically, if we had been devs back then, this is the game we would have came up with. We did our best to capture everything that made games captivating and challenging in that era, then gave it slightly more modern learning curves and puzzle solving. While it may not be as cryptic as old RPGs, it's not going to hold your hand either. The main goal of the Infernax experience is to take the player back to the 80s, when the internet was in black and white and in magazine form. The instant you got back from school, you'd be glued to your TV trying to beat your favorite NES games. There was no bills to pay, no early meeting the next day to prepare for, just a big flickering TV, two NES controllers and some friends. The story takes place in a fictional mountain village of eastern Europe and has an authentic horror undertone, using many characters from the 80s horror tropes. 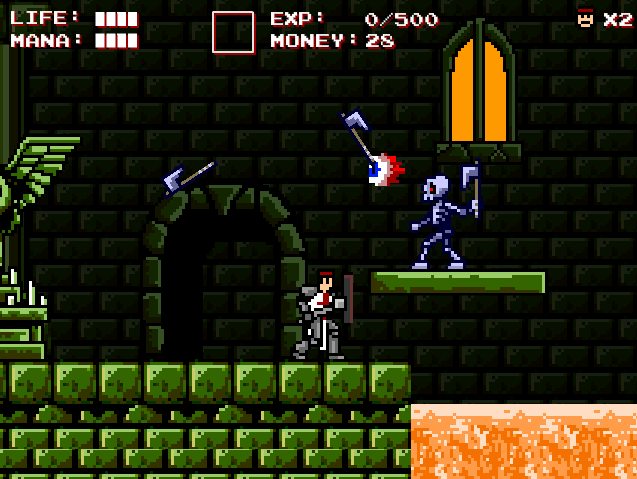 Gameplay wise, it's a side scrolling platformer with some RPG elements, you gather spells, armors and weapons all while exploring a vast world and hacking through everything that moves on the screen, it's a game for simpler times. There are currently no gifs available for Infernax. Check back later for more or contact us for specific requests!